NEW YORK – A whole lot of superheroes added up to a whole lot of ticket sales. 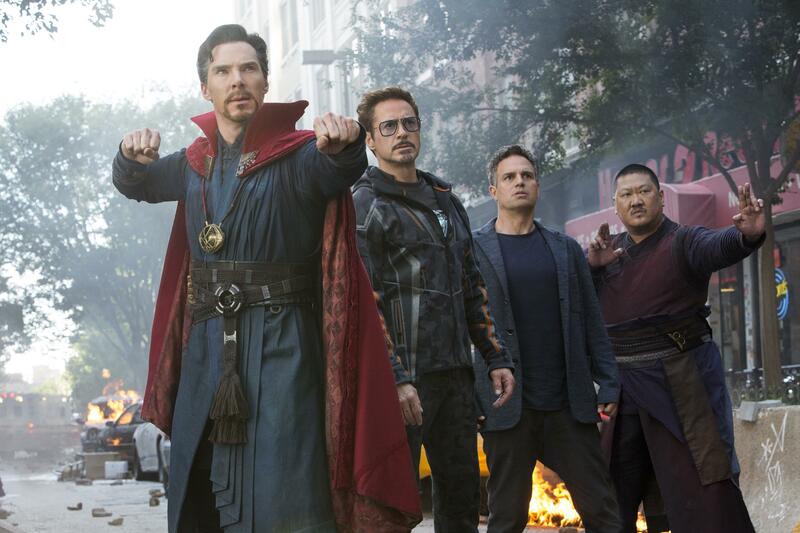 The superhero smorgasbord “Avengers: Infinity Wars” opened with predictable shock-and-awe, earning $250 million in box office over the weekend and edging past “Star Wars: The Force Awakens” to set the highest opening weekend of all-time. But both intergalactic behemoths belong to Disney, which now owns nine of the top 10 opening weekends ever – six belonging to Marvel releases. That includes “Black Panther,” which has grossed $1.3 billion since opening in February and still managed to rank fifth at this weekend’s box office, thanks partially to Marvel fans self-programming a double-feature. Paul Dergarabedian, senior media analyst for comScore, credited Marvel with the potent lead-up to “Infinity Wars” with “Spider-Man: Homecoming,” “Guardians of the Galaxy Vol. 2,” “Thor: Ragnarok” and “Black Panther” – all successful and well-reviewed entries. Published: April 29, 2018, 5:14 p.m. Updated: April 29, 2018, 5:35 p.m.